1. 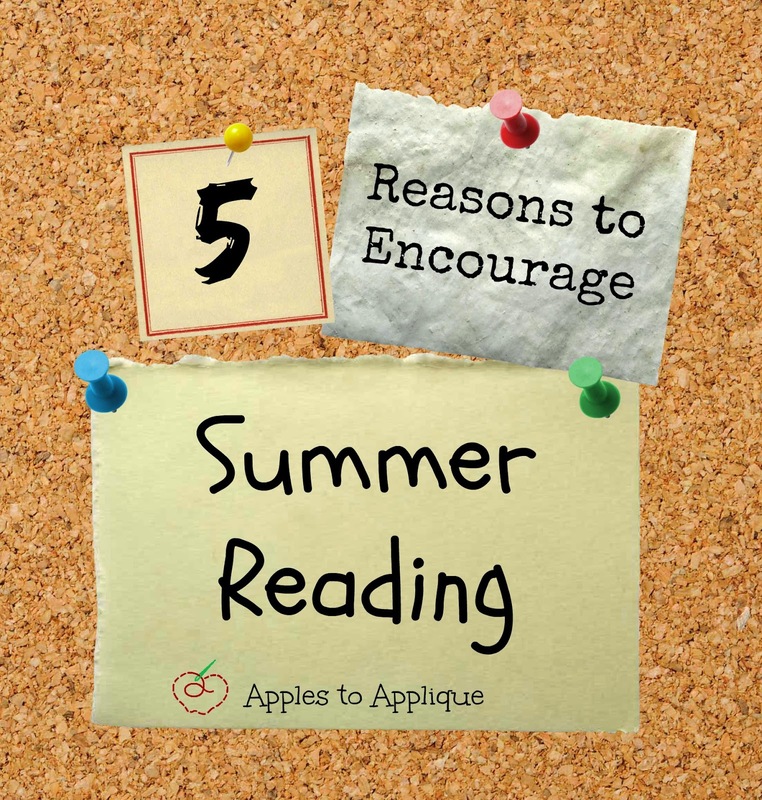 Reading during the summer helps students keep their minds fresh and retain information, which will lessen the effects of the "summer gap"--meaning it will be easier to transition back into the school year and not as much knowledge will be lost. This will help them be better prepared for the next grade level. 2. Consistent reading is the best way to increase a child's reading level, which increases their understanding across other content areas. If your child reads for just 20 minutes a day, 5 days a week, then over 10 weeks of summer vacation they will have read for 1,000 minutes! 3. Children who read during the summer are more likely to become life-long readers, because they will see reading as something to do for leisure, instead of just associating it with school. 4. Summer is a great time to cultivate a love of reading in your children. Why? Because there is little to no "assigned" reading, meaning they can read whatever they want. Experiment with various genres and series to find books that speak to them; there's a book out there for everyone! 5. It's a constructive activity that is good for their minds and gets them away from the TV. If you need help motivating your kids to read, the internet is full of ideas for summer reading challenges and lists of suggested books for various age groups. I'd start with Pinterest to get some great ideas. Check back next Tuesday for another quick tidbit, or later in the week for more in-depth posts on a multitude of topics. Until then, happy reading! We actually starting a mandatory 20 minutes of reading a day next week! Great minds think a like right. My oldest struggles with reading and I know for a bit it's going to be like pulling teeth so I've decided I don't care what she reads, if it's reading picture books to her little sister even, it'll count so long as she is reading. There are so many great apps for the iPad that encourage reading skills. Maybe reward her with so many minutes of iPad time for so many minutes of reading time? I'm going to do this. I hadn't really thought about having my daughter read this summer, I was just gonna let her have a break from it all, but it really is a great idea. I always read over summer as a kid! My oldest is only 2, but this is great info for the future! Reading was always a favorite hobby of mine when I was a kid, so I didn't have much difficulty reading over the summer, either. It's so great when kids actually enjoy reading! I have my niece for the summer and we went to the library today so she could get her books to read, we go once a week. How fun! Kids love trips to the library, and I love that they can get an almost endless supply of new books for free. This is such a great an important tip! My parents always encouraged reading and I received books for many birthdays. I'm very glad they instilled that in me. Thank you for sharing all your tips! Books used to be my favorite gift to get for Christmas and birthdays as a kid! I'm glad you have a love of reading, too.